Updated Wednesday November 28, 2018 by AUBL Miami. 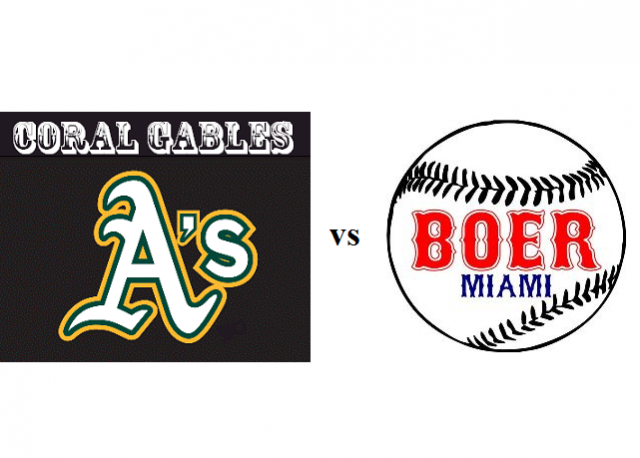 Watch live championship series game 2 - Coral Gables A's vs Boer Miami. A's need a win to force a 3rd game after Boer won game 1 by a score of 8-2. This game will be broadcasted on the South Florida Broadcast Network this Sunday 12/2/18 at 11:00 am. Announcers will be Jay Habacht and Justin Brezner.